Investors can generate additional returns during volatile markets by selling options on their company stock shares. Investors that own shares of a stock can sell call options on those shares as a way to make additional revenues on their portfolio during volatile markets. By selling options on your shares, you may risk having to sell the stock later, though usually at a profit. Call options are considered the simplest way of selling options and can produce the largest return on investments. An option's premium depends upon what price and time frame you choose to offer. Pricing your options below the premium price will create more interest from buyers, but prevent the stock owners from collecting the highest possible earnings on the option. Check how many shares of the stock you own to make sure you can meet the minimum option call unit of 100 shares. Covered calls are the most popular option to sell and they give investors ways to generate income in a neutral or rising market. By selling an option, you are agreeing to sell your shares of stock to the buyer of the option at a negotiated "strike price" at a specified future date. The stock owner collects a premium for this contract, regardless of whether the stock reaches the strike price. The closer the strike price is set to meet market expectations of the stock's actual price, the more the owner of the stock can charge as a premium for the option. Choose a strike price and expiration date for the stock you want to option. As an example, if you own a stock that's priced at $10 but is expected to be at $11 in three months, a three-month option for $11 would demand a higher premium than an option with a strike price of $12. From the strike price and expiration date, a stock broker or online investment service can determine the market demand for the option and the best premium price. Take advantage of price swings in the market, known as volatility. 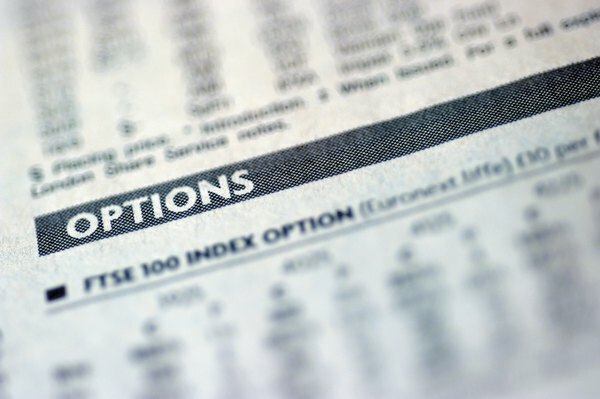 Options are in high demand during volatile markets and investors who own shares of stock can use covered call options to take advantage of the market conditions. Follow the Chicago Board of Exchange Volatility Index, or VIX, which is also sometimes called the "fear" index because of how it measures investor sentiments. A rise in the VIX shows the market is becoming more volatile and can help investors discover when the market for options is at its peak. Selling covered call options on stocks that you own could force you to sell the stock for less than its value if the stock's price rises above the negotiated strike price. While you may still profit from the transaction, you should thoroughly research a stock's future expectations before selling an option on it, otherwise you might not realize even larger gains from better-than-expected growth.